Great ball for a house shot. rolls really smooth down lane and has a really strong backend. I really enjoyed the black diamond coal and the gold diamond, so I have been waiting for this release. This is an symmetrical ball with the legendary dynasty core. 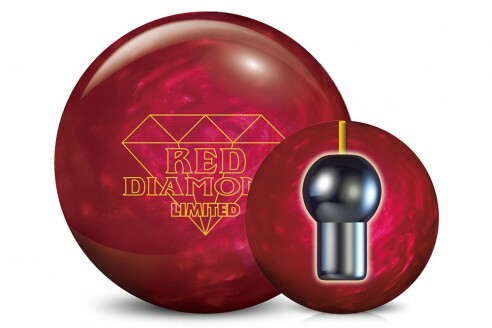 I drilled this at a 52 x 4.5 x 35, expecting this ball to go a bit longer and hook more off the back end, than what I saw with the black diamond coal. This ball finished with 1000 polish seemed to go a bit longer and cause the ball to be a more skid flippy than I experienced with the others in this line. I adjusted the surface to be 1500, I am really liking this reaction now which gives me a nice mid lane read and strong motion down lane...... I am sure I will enjoy this ball as much as I did the others. - Diamonds are Forever.